How Litter Flows in the Metedeconk Watershed and How Long It Lasts! •	Where Does My Water Come From? Municipalities may use these programs to obtain credits towards public education for NJPDES municipal stormwater (MS4) general permits and if they are looking for credits from Sustainable Jersey. Brick Utilities is offering its education and outreach program as part of its commitment to protecting the Metedeconk River, our primary source of water supply, as well as the Barnegat Bay. 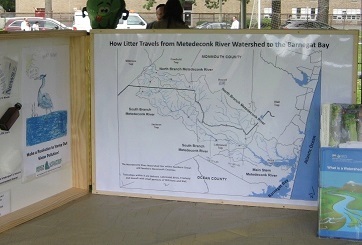 The program is an important part of the Metedeconk River Watershed Protection and Restoration Plan. For more information and to schedule a presentation or workshop, please contact Shari Kondrup at 732-701-4282 or skondrup@brickmua.com.